Captain Phillips is based on the true story of Captain Richard Phillips (Tom Hanks), whose cargo ship was invaded by Somali pirates, leading to his being taken hostage. The seafaring thriller is nominated for six Academy Awards including Picture and Supporting Actor for Barkhad Abdi who plays the lead pirate. For this drink, I started with the movie's title. What can you use for "Captain?" How about Captain Morgan spiced rum. And for "Phillips?" Well, phillips is a type of screwdriver, so in goes the orange juice. 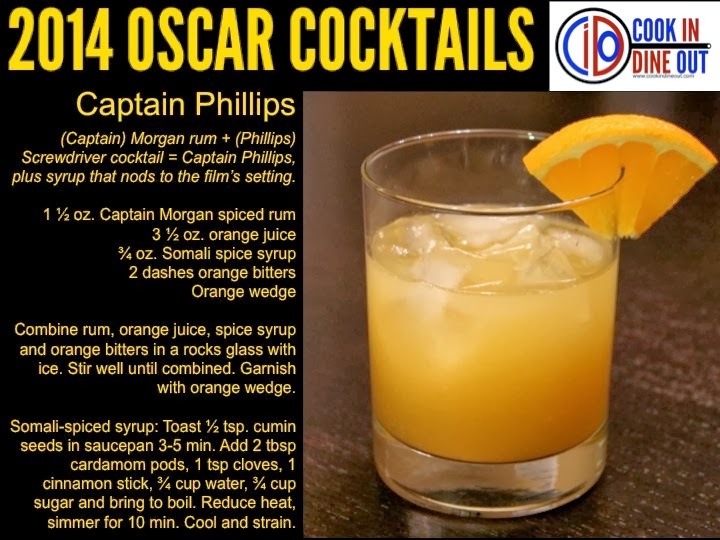 From there, I wanted to give the drink some spice that represented the setting of the movie in the seas around Somalia, so I came up with a Somali Spice Syrup based on a blend of spices popular in the country's cuisine. 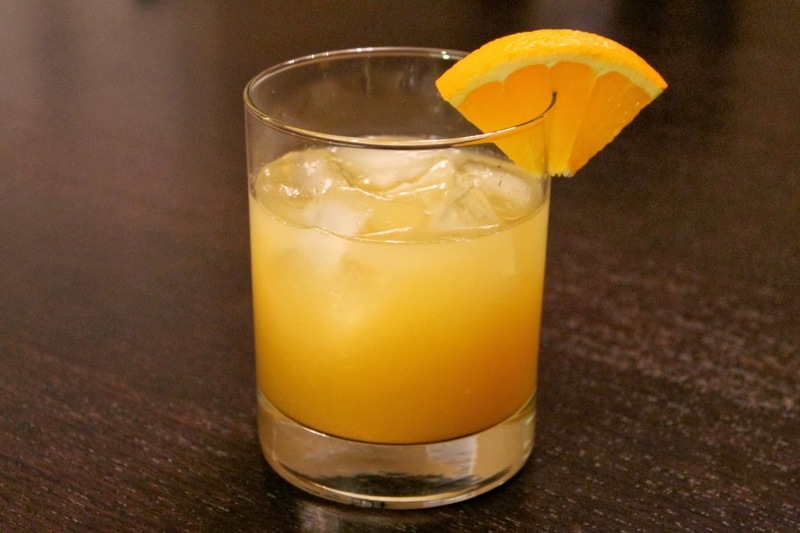 Combine rum, orange juice, spice syrup and orange bitters in a rocks glass with ice. Stir well until combined. Garnish with orange wedge. Toast cumin seeds in a saucepan until fragrant, about 3-5 minutes. Add remaining ingredients and increase heat to bring to a boil. Reduce heat and simmer for 10 minutes. Allow mixture to cool in pan and strain out spices. Transfer to a container to chill in the refrigerator. This was a terrific drink. I hope we get to drink it on our balcony this summer!